If you have a truckload of promising chrysanthemum young plants on board, you want to show it! Two trucks from Jongeneel Transport are travelling CHIC from now on. 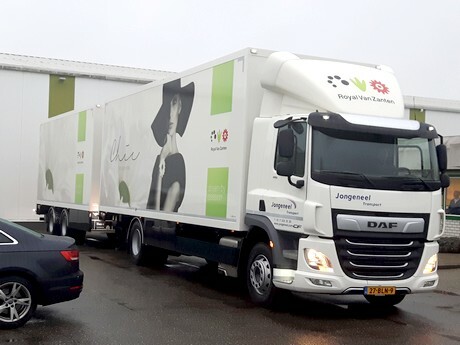 These new fancy trucks mark the continuing cooperation between Royal Van Zanten and Jongeneel Transport. With “People, Planet, Power” as core values, Jongeneel Transport is a party ready for the future in which Royal Van Zanten continues to entrust them with their young plants. 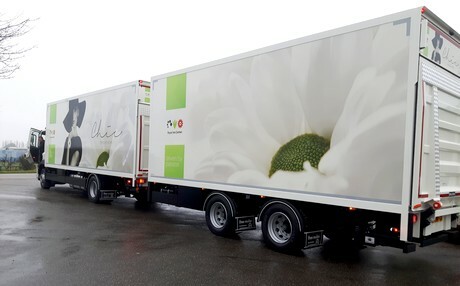 The cooperation of the past decade has resulted in reliable daily deliveries of young plants to our growers in The Netherlands. Driven by passion, our breeders, drivers and growers work together so the many different varieties, including CHIC can grow up to become a star.